Portland Wunderland Guide. The Portland Wunderland is a classic Portland arcade featuring cheap arcade games and many classics that you know and love. Electric Castle's Wunderland is located in several different locations throughout Portland. What makes Wunderland popular is that it's cheap (nickel arcade) and features many classic games you know and love, as well as some new games, and the chance to win prizes. Whether you're looking for Portland skeeball or some other nostalgic game from your past, Wunderland offers arcade style fun, and it's a Portland classic on Belmont Street. There are Wunderland coupons and specials listed on their website at www.wunderlandgames.com, so be sure to check it out. All Wunderlands have a nominal admission fee and all video arcade games operate with nickels. Yes, you might find better, fancier arcades and amusement in Portland, but it's cheap fun for a date or a great place to take the kids in Portland. Where else can you get a good laugh for a nickel? I haven't been to all of the Wunderlands in town, but their website mentions that each location features more than one hundred games of all types. You can play the latest video games and redemption games to score prizes. Each location has a different variety of games to choose from, and tickets won from redemption games can be redeemed for over 100 different prizes from Wunderland prize displays. We hope you enjoy your visit to the Portland Wunderlands. Looking for more fun things to do in Portland? 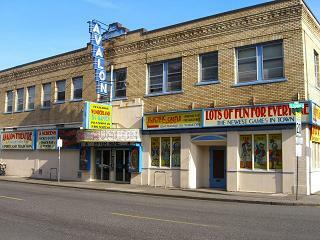 Visit our Portland Attractions page.